Grandkids are the best part of getting old. Sending them gifts for Christmas just makes you happier. Know how you can regulate your expenses being a grandparent, this Christmas! Christmas, wrinkled grandparents, jumping kids in fat woolen sweaters, cookies, snowflakes, red wine, roasted turkey, they all go very well together. It’s every grandpa and grandma’s wish to shower their grandkids with all the blessings and gifts they can give! Some grannies are even ready to break into their retirement or savings accounts, and write big cheques in their 5-year-old grandkids name! Being a grandparent, It’s absolutely okay to gift those cute naughty kids whatever your heart wants. But shouldn't you pull some brakes? Shouldn’t you be careful enough not to overspend? Today we will discuss how to keep grandkid spending in check this Christmas. Always remember your earnings are limited. You are a retiree or going to hit retirement soon, so all you have is your savings which is not unlimited. Measure your affordability and spend accordingly on Christmas! It’s not at all wise to dinge into your retirement savings account and spend huge amounts by gifting your grandkids toy drones or branded glitter frocks if you can’t afford! So, spend within your limits and try not to make a hole in your savings. Make sure that with the happiness of gifting big presents, debts don’t fog your financial independence! Many grandparents are confused what to gift their grandkids for Christmas! Many opinions and options come to the mind that make brainstorming inevitable. So, I would say, cheques are the best gifts that your grandkids will receive! They will get toys and dresses in ample numbers, from uncles, aunts, mom, dad, neighbors and so on. While you on the other hand can give them some funds, so that they can use it for some well-explained purposes. 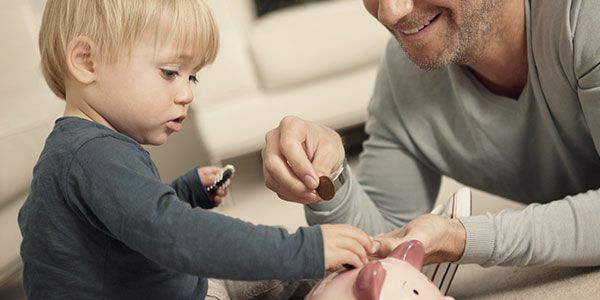 Many financial experts suggest contributing to the kid’s 529 savings account or other educational funds that will be some great help in the future! 3 Have a talk with the parents about what the little one needs! Ask your son or daughter what do the grandkids need. The expected answers could be study materials for the new school year, sports equipment, a study desk, or anything they need, that the kids are not old enough to understand! Your grandkids might nag you for a costly superhero accessory; but if you ask their parents, they might come up with lot more sensible items! Else you can also follow the strategy that’s growing pretty common among grandparents over the years. 4 gifts for want, need, wear and need! This is a nice way to cover the overall gifts you can give to your grandkid! It will cover essentials, toys, books, dresses, video games or anything falling into those above 4 categories! The best way not to worry about what to give grandkids and how much to give for Christmas, is building an annual fund! Whenever you save money, you are doing something good! So, even if every month you keep aside $5 or $10, you have a pretty good amount to experiment with while buying gifts for your little ones for Christmas! This is the only way you will be able to buy gifts for your grandkids without hassles and scratching through savings accounts. Actually, this can also become a convenient method for building extra savings. It is highly unlikely that if you are able to save some $300 or so, each year, you will spend the full amount for buying gifts. If that’s the case, then your leftover amount will incur interest rates and increase in cash value time to time. 5 More tips to regulate grandkid spending this christmas. Even though they look cute, don’t let them have the upper hand, and ask for all expensive items by throwing tantrums! Keep a list of items that you think will be useful, and gift one or two of them every christmas! Handwoven pullovers, caps, sweaters, socks, are great things to gift. You will save loads, and will also win hearts at the same time! And books! Probably the best gift to give to a child. Introduce them to the world of adventure and mystery such as Huckleberry Finn, Tom Sawyer, Famous Five, Secret Seven, Goosebumps, Harry Potter or books by Cornelia Funke!!! Have a great Christmas, all you wrinkled angels! You will forever be alive, in our hearts, not with the gifts you give, but the warm love you all share!